Joseph Arthur Castle was the third eldest of five children born to Arthur John and Constance Emily Castle (nee Filleul). He was born in Thame on 13th December 1923, and baptised at St Mary’s church on 25th January 1924. The family lived at 104 High Street where his father was a printer and proprietor of the Thame Gazette newspaper. 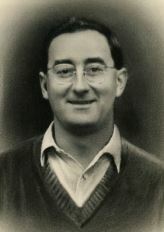 Joseph attended Lord Williams’s Grammar School between 1934 and 1940. Joseph enlisted with TA reserve on 12th January 1942 and then served on Home Service with the Oxford & Bucks Light Infantry from his eighteenth birthday until he transferred to the Royal Engineers on 29th May 1945. He was promoted to Staff Sergeant on 29 May 1945 and served for six months with BAOR from December 1946 after which he re-enlisted as a regular soldier. New Years Honours list for exemplary work in constructing emergency camps during the Dock Strike and a bridge over the Thames for the Festival of Britain. He was promote WO II on 8th November 1952 and served a tour in Hong Kong with 10 TTRRE from December 1952 to 1955. On return he was promoted to Warrant Officer 1st class and posted to the BAOR. On 16th September 1956 he was posted to CRE Episkopi, Cyprus, during the Cyprus emergency. From there on 4th March 1957 he was temporarily detached to GE Bahrain with the Cameronians (Scottish Rifles). Joseph died in Bahrain of a heart attack, on the 9th September 1957 aged just 33 years and was buried there with full military honours. He left over £2000 in his will. 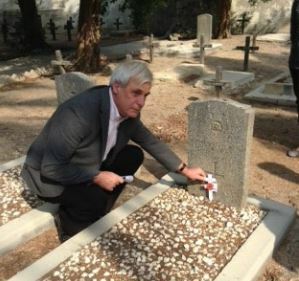 Warrant Officer Joseph Arthur Castle, Royal Engineers, is buried in the Old Christian Cemetery in Manama, Bahrain. He is commemorated on a wall plaque in St Mary’s church, Thame and in 2009 his name was placed on the Cyprus Memorial in Kyrenia, Cyprus by the Cyprus Memorial Trust.